At Mission HQ, we think of books and reading as technologies. We only live one life, but through books, we can gain the wisdom of thousands. When an author writes, re-writes, and edits, they are turning their words into a more perfect version of themselves. When you read, you get to spend time in a meditative state with a wise person’s more perfect self. Books are the most undervalued and underappreciated technology in the world. How do we know they’re so valuable? We need only to examine how the best and the worst people throughout history have viewed books. The worst seek to downplay, ban, or burn them. The fact that books have haters who are willing to destroy them confirms their power. The best adore books… and aren’t afraid to celebrate them. Like every other technology, if we use books without intentions or guides, they often lead nowhere. But when we learn how to appropriately value, select, and acquire them with stakes and incentives (buy them, read them, then discuss with friends or a book club)… books become priceless. Books might be one of the more perfect technologies, but they still have limitations. They don’t work until we do the work of reading them. They’re largely useless until we take the plunge, purchase one, dive in with good intentions and fresh eyes, and then find the books good enough to re-read. Technology can’t change our lives, only we can. When we take a perfect technology like books and wield them for good, we’ll build habits that can change our lives, lift up those around us, or even gain the secrets necessary to create new types of perfect technology. 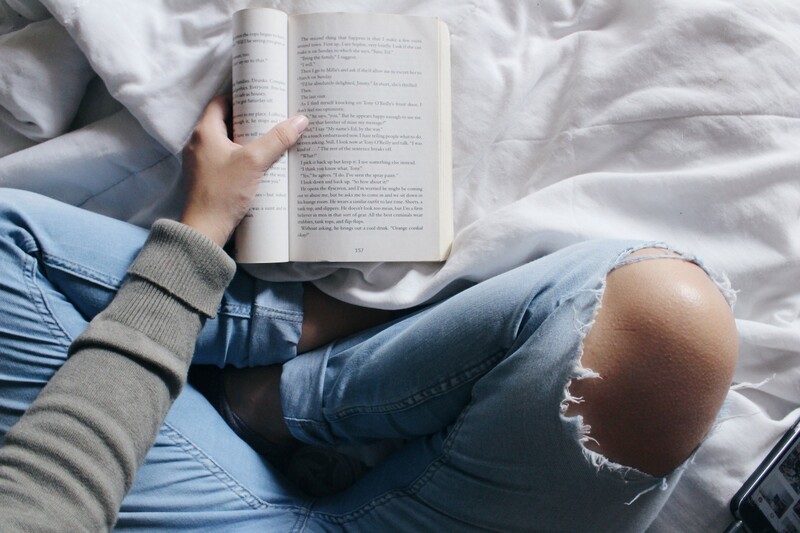 Reading books can mold your mindset and rewire your brain. These are the 7 Habits That Books and Reading Help You Build. Pt. 2 — The Last 4 Habits that Reading Books Will Help You Build. “Even for people who love books, finding the opportunity to read can be a challenge. Many, then, rely on audiobooks, a convenient alternative to old-fashioned reading. You can listen to the latest bestseller while commuting or cleaning up the house. What are some good reads you’ve recently discovered? Tweet them at us 👉 @TheMissionHQ. This was originally published on March 26, 2019 as The Mission’s daily newsletter. To subscribe, go here.